Health and Safety is imperative in any industry, but in construction it’s even more important. Following the correct practices can be the difference between life and death. Here is everything that you need to know about health and safety whilst working in the construction industry. When planning a project, you will need to gather as much health and safety information as possible. You’ll need to know if anything could affect the work and hire the appropriate equipment and materials. You must ensure that the site is accessible for the people working on it and vehicles. Consider how you can ensure that vehicles are kept clear of pedestrians, and establish site boundaries to protect the public from site dangers. You should remember that you will need to provide toilets, a place to eat and somewhere for storing clothing for the workers. The site should have plenty of natural light so that people can easily see their work, but artificial lighting should also be used in areas where lighting is poor. Lastly, you will need to create a list of site rules – this may be set by the client or the construction company who is taking on the project. You should ensure that all workers and people visiting the site know and understand the rules. You will need to create a plan for several different types of emergencies including fire, flooding and toxic gases. When creating the plan, consider the type of work that is taking place, the equipment that you are using and the number of people who will be on the site at any time. Fire is generally the biggest risk for construction sites, so you should take precautions and keep the working area tidy to minimise the risk. Make sure that everyone working on the site understands the emergency procedures and what signal will be given if they need to evacuate the site in case of an emergency. You are also required to provide equipment to carry out first aid – there should be a first aid box, a person in charge of it and notices around the site informing workers of the first aid procedure. You also have to report workplace injuries to HSE, the Government organisation in charge of overseeing health and safety practices for the construction industry. When you’re working at height, you must adhere to certain measures in order to ensure you work safely. Falling from height is the largest cause of accidental death within the construction industry, so you should always take precautions to minimise the risk. You should use correct equipment such as access platforms and scissor lifts to carry out the work safely and have measures which protect the worker, such as a harness. Overall, you should avoid working at height as much as possible, unless it is absolutely essential. Another cause of death and serious injury on construction sites is when workers are killed by moving vehicles. To avoid this, you should limit the number of vehicles allowed on site at one time, providing parking for workers and visitors away from the main site. On small sites, consider if there are other ways of moving materials i.e. cranes to minimise the need for multiple vehicles in a small space. Set safe pedestrian routes on site and ensure that all members of the workforce know them. You should aim to avoid manual handling as much as possible, as it is a significant cause of injury on construction sites. If you cannot avoid manual handling, ensure that you know the weight of the items to be lifted in advance and plan for them. All of the workers on site should be trained in safe lifting techniques. The main occupational health risks when working in construction is back and joint injuries, numbness in the fingers and hands from using vibrating tools, hearing loss, dermatitis, and diseases relating to asbestos. If you’re going to be working with hazardous substances, you should identify them beforehand as you may be able to find less hazardous alternatives. You should look at the ways that workers may come into contact with the substances and whether the contact is a risk to their health. If it does present a risk, you’ll need to provide personal protective equipment such as disposable face masks. For advice on reducing occupational health risks, follow HSE guidance. 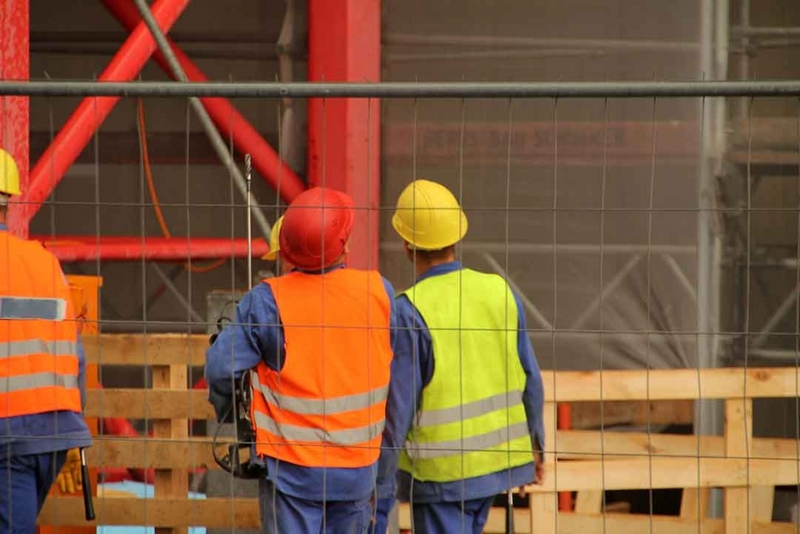 There are a lot of health and safety practices to consider when working in construction, but if you follow the guidance correctly, you can create a safe working environment for the entire workforce. This article was written for Bryan & Armstrong by Kimberly Access, a provider of safe working platforms in the UK.